At this moment you are living in a world with an estimated population of 7.4 billion people. However, many scientists believe the Earth could sustainably support only about 10 billion people. How do you see yourself within the basic arithmetic of the world population? 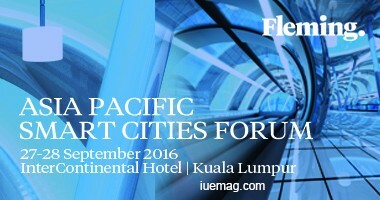 Get insights from experts on visions for a sustainable and viable future at the Asia Pacific Smart Cities Forum happening on the 27th until 28th September 2016. Organized by Fleming, this two-day event is set to bring together experts of the Smart City industry from across the globe on one platform. This forum will present proven strategies, cutting-edge technologies and real-world solutions for innovators who need to envision and realize the Smart Cities concept. Stakeholders will have an opportunity to see, hear and experience the next wave of innovative, integrated technologies that are already helping cities around the world become more compassionate, connected and sustainable. Join us this September and build the city of the future, today.